#kr3:Michal son of Baruch ben Yoel Kramnik, named for his father's brother who died in 1917 in Volozhin. unknown to his first cousin Bela, Baruch survived the war and married a woman who was a partisan during the war. He had two children. he died in Vitbesk. the rest of the family today lives in Israel. Bela Saliternik (see In the Holocaust Shadow,, page 525) sent me two documents. The first one is an enquiry she had submitted to The Red Cross in Jerusalem on December 11th 1941. Printed in Polish on a Red Cross official form , the translation reads: Salitenik Bela, from Tel Aviv, 7 Nezah Israel St., Palestine, is asking the Red Cross to find out and to let her know the whereabouts of her mother, Freyda Kramnik, and family, from Volozhin, Market Square 7, Novogrudek District, Occupied Poland - Belarus. The enquiry bears several stamps: Jerusalem Postage office, Palestine Censor pass, Red Cross Committee  Geneva and January 9 1942. The second document is the official answer of the Red Cross in Geneva, typed in Minsk, dated September 23th 1942. Written in German, it says that the Gebits commissar in Vileyka could not find Freyda Kramnik's whereabouts. It was all the Red Cross in Minsk agents had to tell. It was done before the eyes of the entire local gentile population. The Red Cross agents certainly knew it, but did not yell. They did not tell a word. "Nation-building and power in Russia: A view from political psychology"
It was really nice talking to you. This is a link to another Kramnik, the World Chess Champion. By the age of 11, Kramnik was awarded the title of a candidate master. little later he joined the famous Botvinnik school. This time he played in Board 2 and had a score of 8/11. Yerevan. He played on Board 2 and his score was 4.5/9. Max Kramnick and his brothers Sigmund and Leon. earlier. Where does this information come from? Kramnik (Polotsk, Kiev) O: shopkeeper [Belorussian] (see Kramar). Kramnikov (Bobrujsk) OS: see Kramar. Kramnitskij (Kovno) OS: see Kramar. Kramor (Vasil'kov) O: see Kramar. Kramskij (Chernigov gub., Odessa, Bratslav) O: see Kramar. Kramskoj (Kiev) O: see Kramar. (Grant), Krantman (Kratman, Grantman), Krenter, Karant}. Krangauz (Rechitsa) FS: see Krojn. Shimon YOSEF Kramnik son of Hilel was born in Kurenets, Poland in 1893. He was a bank manager and married. Prior to WWII he lived in Kurenets, Poland. During the war was in Kurenets, Poland. Shimon died in 1941 in Kurenets, Poland at the age of 48. This information is based on a Page of Testimony submitted on 01/01/1990 by his relative Bela Salitarnik (her father was his first cousin)- About five years ago I spoke with the son of Shimons' brother. He told me that all the other children of Hilel Kramnik came to America. There were many daughters- most lived in the north part of New York state and changed their last name to Kramer. Baroch Kramnik was born in Kurzeniec, Poland in 1887 to Yoel Aharon and Rivka. 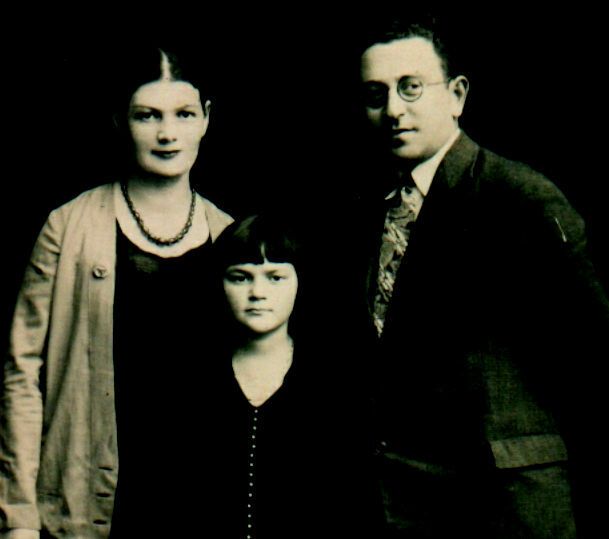 He was a grocer and married to Gita- They had four children; daghters who perished; Rachel at age 17, Yta age 15 and Rivka age 13. He had a son Michael ( who was able to escape and joined the Red Army. unknown to his cousin Bela he survived , married and had two children in the Soviet Union- in the 1990s his widow and children immigrated to Israel and found Bela!) Prior to WWII he lived in Kurzeniec, Poland. During the war was in Kurzeniec, Poland. Baroch died in the Shoah. This information is based on a Page of Testimony submitted on 18/12/1955 by his niece. He told me that he recognized on the site the entire family of Yakov Shulman (my ggrandfathers' brother). They used to come down from Elmira , New York to visit my ggrandfathers' family in Pittstown, Pennsylvania. He also told me that there were many Shulmans and Kramnik (some changed there name to Kramer) in the Elmira area, they all came from Kurenets and were related to each other. Take a look at the picture to see even more.